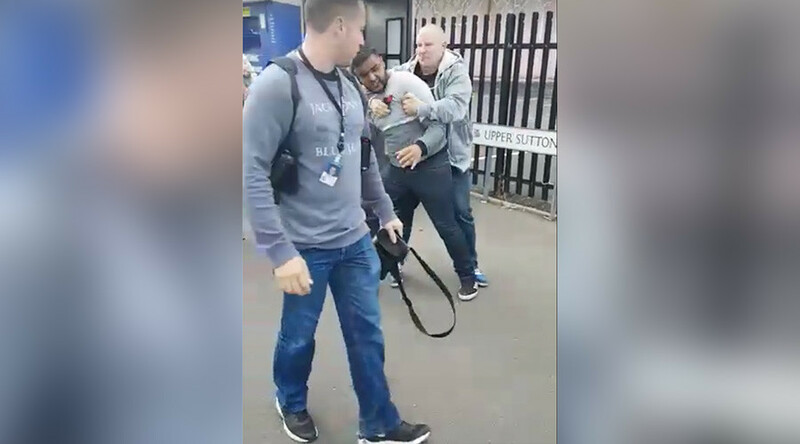 An independent probe of three UK police officers is underway after footage emerged of them using “excessive force” on a British Asian man in Birmingham. The incident has caused outrage across social media. Following an initial investigation by West Midlands Police, the case has been referred to the Independent Police Complaints Commission (IPCC). Three officers involved in the incident have been removed from normal duties, according to a police statement. Footage of plain-clothed police officers kicking and striking a man with a baton in Aston, Birmingham, during an arrest Sunday, was shared online by police monitoring campaign group Netpol. The clip shows a group of men having their van searched for drugs before a row breaks out. One man is grabbed by police officers, kicked and hit with a baton before being knocked to the ground. The incident happened outside the Mosque and Muslim Community Centre Aston, according to Express and Star. Another video of the incident was posted by Abdul Hamid Faruki. It comes to an abrupt end as police confront the person filming it. The footage has sparked online condemnation. West Midlands Police initially confirmed an internal investigation into the matter. In a later statement, police confirmed that the case would be referred to the IPCC. The three officers involved in the incident – all of constable rank – will not be suspended but redeployed to do other work. They will not be engaged in duties outside a police station. A 28-year-old male was cautioned for possessing cannabis while a 20-year-old man arrested for a public order offence during Sunday’s incident was released while inquiries continued, Birmingham Mail reported.